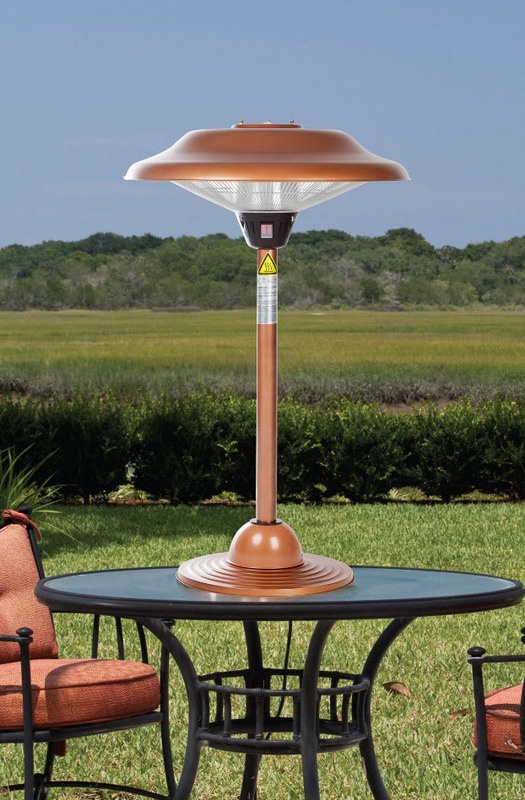 The Tiga Copper Finish Tabletop Halogen Patio Heater brings a new dimension to both indoor and outdoor heating. 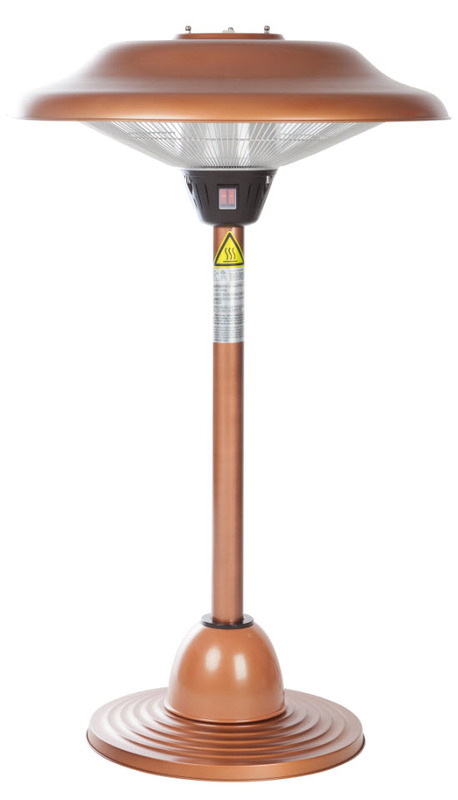 This halogen heater runs off any regular household electrical socket, and costs substantially less to operate than traditional propane heaters. Heats up in seconds, with almost no warm up time providing a powerful glow of radiant heat to the surrounding areas.